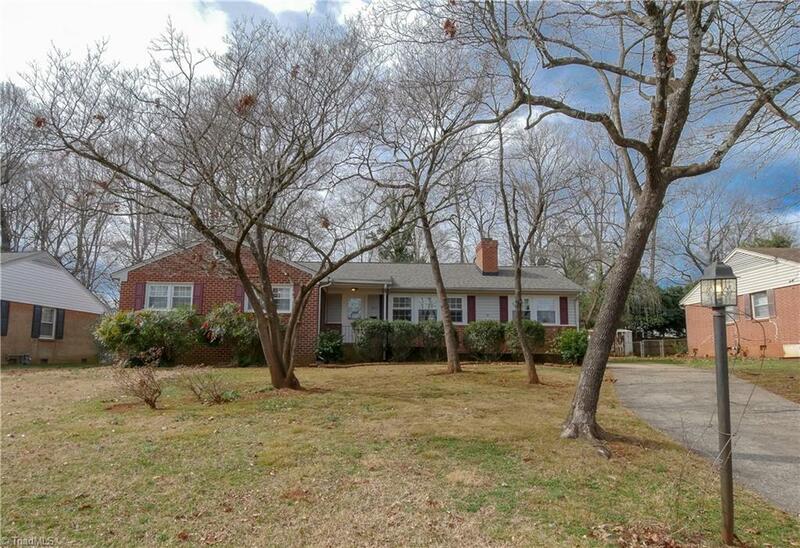 Beautiful, well-maintained Ranch style home with original hardwood floors in living areas. Original tile in both bathrooms. With a tiled floor and tile back splash in the kitchen. A large bonus room with a tile floor that would be a great for a home office or play area. Vinyl replacement windows. Plenty of room for a garden in the fenced back yard. Roof replaced in 2016. Located in Green Valley sub division. Walking distance to Friendly Center. Must See!! !